The Corning Museum of Glass (CMoG) today announced the appointment of Susie J. Silbert as curator of modern and contemporary glass. 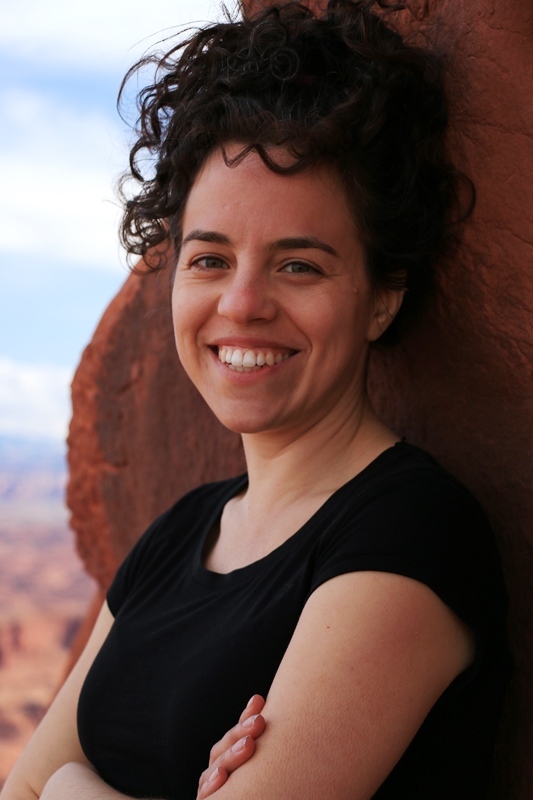 An independent curator, writer, and historian, Silbert has developed an encyclopedic knowledge of glass, and strong connections to people in the field. In her new role, Silbert will be responsible for the acquisition, exhibition, cataloguing, and research of the Museum’s modern and contemporary collection, a period ranging from 1900 to the present day. She will also oversee the programming of the 26,000-square-foot Contemporary Art + Design Galleries, part of a 100,000-square-foot addition which opened in March 2015. 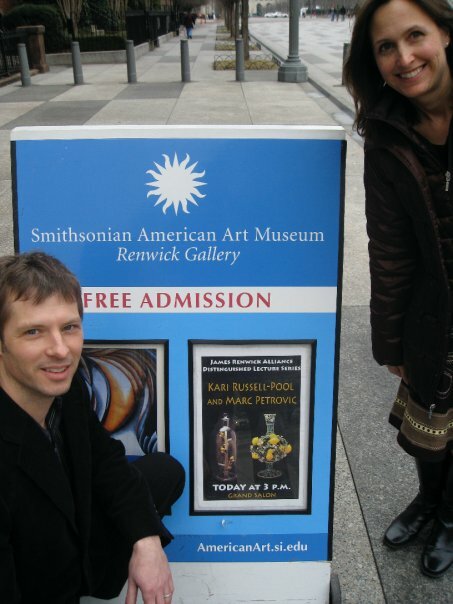 Silbert will join the Museum on April 18. Silbert fills the position following the retirement of Tina Oldknow, who was curator from 2000-2015.The modern and contemporary glass collection contains close to 18,000 objects, and expands annually through gifts and acquisitions. With a background in craft, design, and glassmaking, Silbert has a passion for interpreting the built world. In her current role as an independent curator, Silbert has partnered with institutions and arts organizations including Parsons The New School for Design, UrbanGlass, Houston Center for Contemporary Craft, and the Center for Art in Wood, amongst others. She has worked on numerous exhibitions featuring diverse media, and has contributed to exhibition catalogues for the Museum of Fine Arts, Houston and the Chrysler Museum. 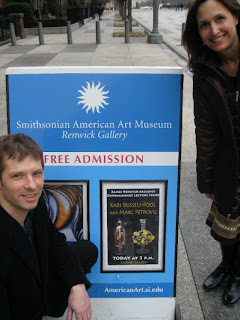 Silbert has also worked with galleries and artists, most notably holding the position of curator and collaborator at the studio of glass innovator, Mark Peiser. She currently teaches history of glass at Rhode Island School of Design, and is a board member of the Furniture Society. 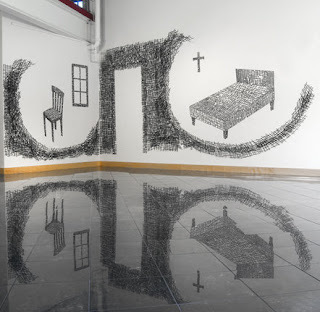 She was also named a finalist for the inaugural American Craft Council Emerging Voices Award (2014) and an Emerging Leader of New York Arts (2014-2015). Read more at the Corning Museum site. Corning Museum of Glass has posted its annual Call for Entries in the museum’s New Glass Review publication. 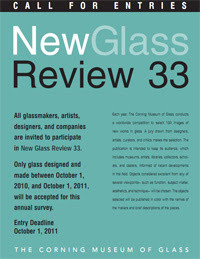 All glassmakers, artists, designers, and companies are invited to participate in New Glass Review 33. Only glass designed and made between October 1, 2010, and October 1, 2011, may be submitted for this annual survey. Participants are requested to complete the entry form, submitting a total of three digital images illustrating one work per image. Slides and transparencies will not be accepted. Three images of different pieces are preferred, although participants may send multiple views of one or two pieces. Digital photographs, which should be made using the highest-resolution setting on the camera, must be of actual objects designed and made between October 1, 2010, and October 1, 2011. The New Glass Review competition will be judged in early December. 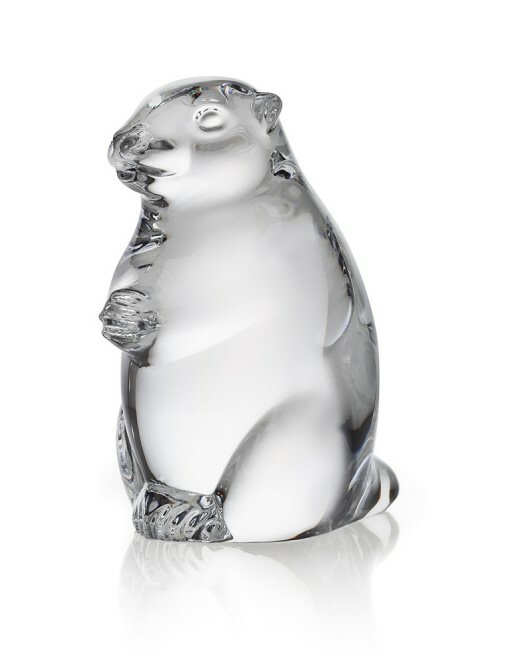 All entries, accompanied by a $20.00 USD entry fee, must be postmarked no later than October 1, 2010, and sent to: New Glass Review Curatorial Department The Corning Museum of Glass, One Museum Way Corning, New York 14830-2253, USA. 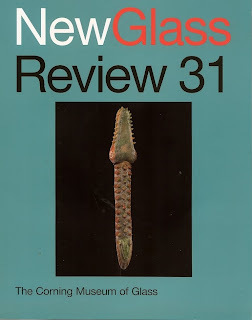 For a look at some of the winners of New Glass Review 31 – click HERE. 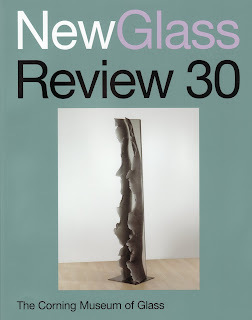 > Published by The Corning Museum of Glass (CMOG), New Glass Review is an annual survey of glass in contemporary art, architecture, craft, and design created in the previous year. The works are chosen by a changing jury of curators, artists, designers, art dealers, and critics, which, over the past 25 years, has included Dale Chihuly, Clement Greenberg, Stanislav Libenský, Richard Marquis, David McFadden, Yoriko Mizuta, Lois Moran , Jean-Luc Olivié , Tom Patti, Ginny Ruffner, Bertil Vallien, and Toots Zynsky. Museum jurors have included Thomas S. Buechner, the Museum’s founding director, and modern glass curators Susanne K. Frantz, Tina Oldknow, and William Warmus. This year is the 31st annual review, and the jurors were Jon Clark, Professor, Tyler School of Art, Rosa Barovier Mentasti, independent art historian, curator, and critic, Zesty Meyers, artist and owner R 20th Century, and Tina Oldknow, the Corning Museum’s Curator of Modern Glass. The jurors selected 100 works from 888 international artists that sent over 2,500 images of work for the competition. The Washington DC area is represented by some familiar names – the Washington Glass School’s Michael Janis; Washington Glass School alumni Jeff Zimmer, and Weisser Glass Studio’s Nancy Weisser. The book of work is published in Germany and the copies have just arrived stateside. Congrats to the artists! Washington Glass School Artist in CMOG’s New Glass Review 31! Since 1979, the Corning Museum of Glass has published its annual New Glass Review, which documents new work in glass art, architecture, craft, and design. 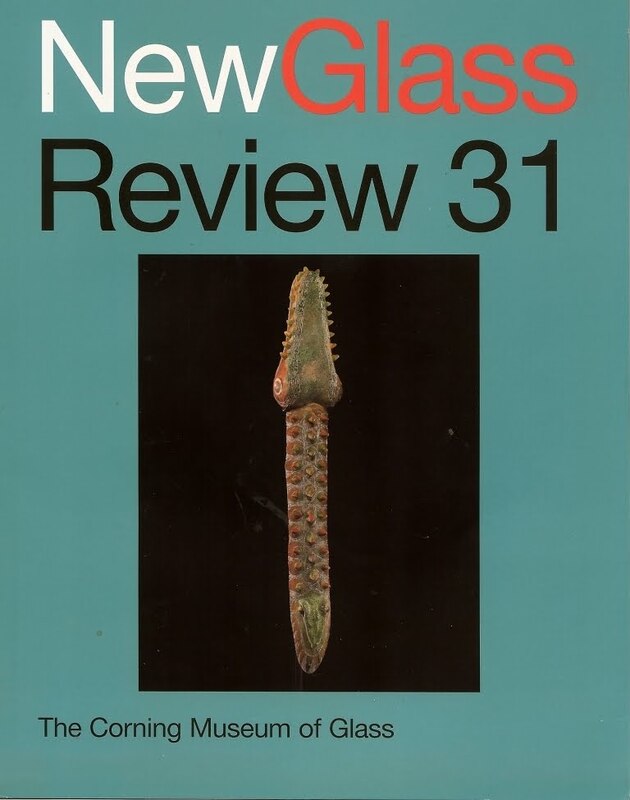 New Glass Review is the only peer-reviewed journal in the field of contemporary glass. Each year, artists around the world submit images of their recent work to the Museum. This year an international jury selected artwork submitted from 888 artists from over 43 countries – making a total of over 2,500 submissions for consideration. The jury included Jon Clark, Professor, Tyler School of Art; Rosa Barovier Mentasti, art historian, curator and critic, Venice, Italy; Zesty Meyers, owner, R20th Century, New York, and Tina Oldknow, Curator of Modern Glass, Corning Museum. As of the time of publishing this post, some of the artists included in this years review are: Sara Gilbert, Bernd Kniel, Kait Rhoads, Masahiro Sasaki, Nancy Weisser, Jeff Zimmer and myself, Michael Janis. 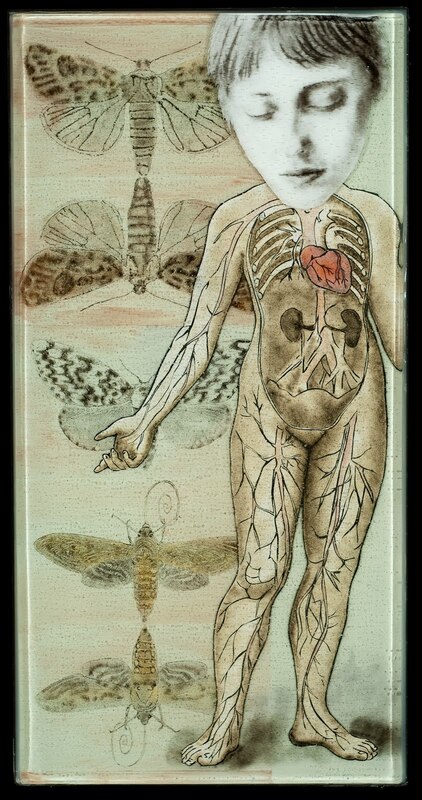 I am honored to be selected again this year for inclusion in the publication, due out in May, 2010. 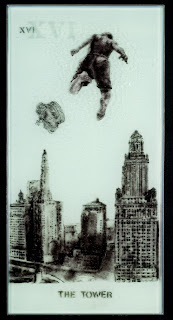 > The 30th edition of a prestigious and important annual selection of the best works in glass worldwide – New Glass Review (Neues Glas) has been published – and included was my work titled “The Tower” from my series of glass panels based on imagery from Tarot Cards. To introduce my narrative category…(t)he more literal representations included the stories told by Debora Coombs, Ian Mowbray, and especially Michael Janis. 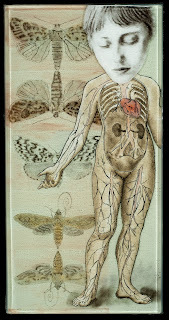 … On the other hand, a truly big and dangerous event is depicted in Janis’s “The Tower” Tarot Card. Anyone familiar with the tarot knows that the tower, the 16th card of the major arcana, does not bring glad tidings. I was impressed by Janis’s powerful, sad, and appropriate interpretation of this card as a literal reflection of the tragic events of September 11, 2001. 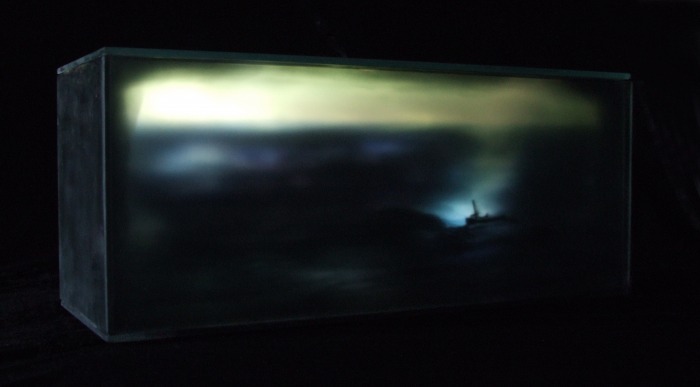 My artwork got votes for inclusion by Mieke Groot, Dante Marioni, and Tina Oldknow.